I am writing this story because I feel like I need to get everything out. I only started properly riding at a riding school when I was 7, but I've stuck with it ever since. I have ridden so many horses, each with many different personalities. But one horse always stood out for me. When I had finished loaning Biscuit, one of the school ponies, my aunty offered us to full loan her mare Penny. 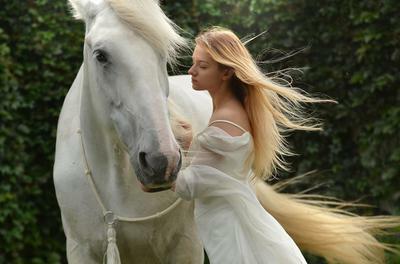 She didn't have time to look after her as she already had her own horse and Penny's old loaner had outgrown her. We went about 4 hours to view her, and she was really sweet, considering she hadn't been properly ridden in about a year. We sorted out renting a field from our friend's farm, as we didn't (and still don't) have a yard. Penny came a few months after the viewing and we loaned out a companion for her, a 13hh chestnut gelding called Tyson. The first few weeks were hard, as she had come without a saddle and was very fussy about them! When I first rode her at home, I couldn't even get her down the farm track to the village. She would spook and then jog back to her field. I could barely control her, as she was 15hh and I was only small. As weeks progressed, I was able to hack her every route possible through the village and she was totally bombproof and relaxed. I had a few lessons with my instructor, and she had an amazing jump. One lesson we jumped 90cm! She was awesome at dressage as well, but I found dressage so boring! I only fell off her once in an arena, where she bombed, but it was her first time in that arena and very windy. The problems began when we rode in fields. We don't know why, but she always bucked and more often that not, I hit the floor. We tried everything. Different saddles, bits, lessons, checking her seasons, but it kept happening. My parents were worried for me and wanted her to go back, but I was determined. Penny was so sweet and my best friend. What she lacked when I rode her she made up for on the ground. She was so gentle and careful. The real turning points for everyone was first when she almost got my instructor off (who is an incredible rider and can stay on everything), and then when she got my friend off. This was because she never got anyone off except me, and she was now trying it on with others. The fact she was so big and strong didn't help either. After almost a year of trying and little success, we decided to return her to my aunty. She whinnied as I left, but little did I know that was the last time I would ever hear her whinny. A few weeks after she left, we had bought two of our own ponies, Lottie and Swift. I now compete Swift at 80/90cm and hope to do higher in the future. Although I had my own ponies to look after, I couldn't help thinking about Penny. There were times where I cried on my own, wishing she was back. As it got a bit closer to my birthday, I decided I only wanted one thing; to go and see Penny. My parents asked if that was really all I wanted, but my mind was made up. About two months before my birthday, I saw my aunty's post on instagram saying Penny had gone down with a rare case of colic. She had had an operation to untwist her intestines and had survived the first 24 hours. I cried for her, with relief but I also worry. I knew how fatal colic could be. That evening I came back from a ride, all happy. I was late home so worried my mum might be annoyed at me, like usual, but she just smiled as I walked in. I didn't think anything of it. I asked her if she had any Penny updates from my aunty, and when I could go and see her. She just looked at me sadly and simply said, "Penny's been put down." I remember the moment clearly. My heart stopped and I said "What?" very quietly. "She's been put down." she repeated. Then I screamed. Not loudly, just out of pain and sadness. My heart was going crazy. I didn't want to believe it. I cried the rest of the night and all the next morning as well. I missed the morning of school. When I went in later, my friend asked why I wasn't in. I told them about Penny and burst into tears. They all comforted me but all I wanted was Penny. I put the blame on myself. I shouldn't have given her back. I knew my aunty couldn't help it, as colic can come from out of nowhere, but I wanted to have been there to say goodbye. I never thought it would end so suddenly. It was always "can I see her when she gets better" not "if she gets better". We were so certain she was going to be ok. She was a fighter. But colic took her away. I still cry, but at night, in bed so no one knows. I don't want to seem attention-seeking. But I just want to say, never give up on your horse or take them for granted. Penny was an incredible horse who made me a better rider and person. She was taken much too early and could've done so much more. I will always have a place in my heart for my beautiful Penny, we formed such a strong bond that could never be broken. I just wish I could've said one last goodbye. Fly high my gorgeous girl, rest in peace. I'm so sorry about your horse! I once was boarding a horse for a lady and I got a special bond with that horse. Not too long after that he got all tangled up in a lead rope and panicked and broke his neck. It happened so fast and I never expected it. I felt so bad bad. I still cry when I think of him, even though he was never my very own horse. I know it's tough but girl, stay strong! My heart is with you. I'm so sorry! I know what you're going through though. My horse broke her leg and had to get put down. She to was very difficult like penny! And like you I still sometimes cry at night. I feel for you! Your riding story is so... deep. I've had two horses who had taken my heart with theirs and they've gone. Because death overcame them. But I knew that good would come out of their deaths. And the rainbow did appear after the storm. All the best in your riding journey.